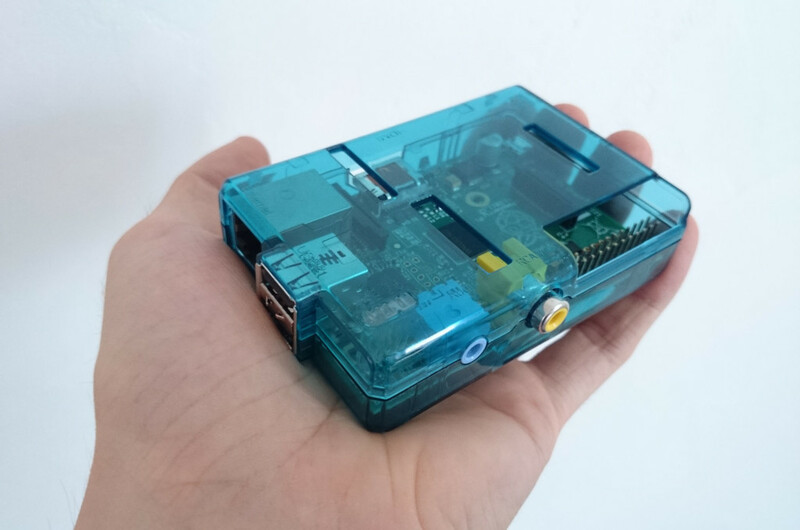 The Raspberry Pi is a tiny computer. In this article, I’ll explain more about what it is, and some of the amazing things we can do with it. First released in February, 2012, the Pi was created to let anyone learn how to use a computer. It’s a great product with an attractive price – typically varying from $20 to $40, depending on the version, though the Raspberry Pi Zero can be bought for just $5. You can learn more about the components of the different Raspberry Pi computers on Wikipedia. The Raspberry Pi itself is just the motherboard you see pictured above. It’s powered through a microUSB port, and it doesn’t have any hard drive. Instead, it has an SD slot (or a microSD slot), and the OS is run from an SD card. In terms of the operating system (OS), several are available for the Pi. Most of them are based on well-known Linux distributions such as Raspbian. But you can also install Windows on your Raspberry Pi 2 if you prefer. (The dev.windows site shows lots of fun projects you can try on a Raspberry Pi with Windows.) There’s a dedicated page on Raspberry Pi’s official website that helps in deciding what OS is best for you. On 18 February, 2015, the Raspberry Pi Foundation announced that five million Raspberry Pis had been sold. By the following June, it was six million. A big success, and there’s a good reason for that: the Raspberry Pi can be used in a lot of different projects. Let’s look at some examples. Some of the OSs available for the Pi make it possible to get a working and complete media center within minutes. For example, Kodi – an open-source media center – can be installed on various OSs such as Raspbian. With Kodi, you’re able to use devices you know well – like your TV remote – to play whole films and series collection. Because the Raspberry Pi can serve as a computer like any other, you can install software on it so that it can be used as a server. For example, you can install a LAMP solution to transform your Raspberry Pi into a web server, or you can install Git to get a Git server. Though the Pi isn’t suited for serving up popular websites with large audiences, it’s perfect as a test web server, or even for serving small personal websites. There are some peripheral devices you can plug onto the Raspberry Pi. For example, there’s a camera module allowing you to use your tiny computer as a camera. Another camera module, NoIR, enables infrared filming in the dark. There’s also a robot that sees its environment, and a camera that records what happens in a certain room. Connected to the Internet, a Raspberry Pi with a camera module can be used as an IP camera. The Raspberry Pi has some GPIO pins that allow it to communicate with external things. With the right program, you can, for example, play with LEDs or motors. In other words, once you’ve connected the right dipoles to the right GPIO pins, you can write a program to control them via the Raspberry Pi. If you then connect the Raspberry Pi to the Internet, you can control these dipoles from anywhere. That’s why the Raspberry Pi can be used to control a small robot, or to build connected objects. If you visit Kickstarter, you can sometimes see that a Raspberry Pi has been used to build a working prototype of a random object (often a connected one). Also in 2014, Michael Teeuw built a motion-controlled smart mirror. A screen placed behind a mirror displays some things like the meteorologic conditions of the day, or a simple message like you’re a good guy to begin the day with a compliment. This display is controlled with a Raspberry Pi. Though not a powerful computer, there’s a huge number of different projects that can be set up with a Pi – often more easily than with a more powerful computer. I currently have two Raspberry Pis. I use one as an IP camera, and the other as a web server, a Git server and a media center. It’s connected to a full HD TV and has no trouble providing a good and fluid experience. 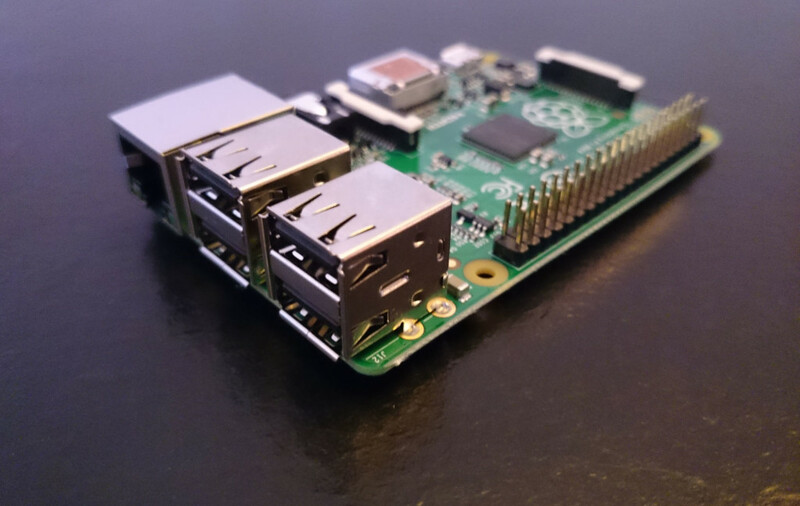 The biggest advantage of using a Raspberry Pi is probably its price. All the projects we saw above can be realized with other computers or even with a dedicated printed circuit (for a prototype of a connected object, for example). However, these other options are more expensive, which isn’t always viable. If you’re searching for a cheap computer to use with a personal project, or to use in a prototype for a more ambitious project, take a look at the Raspberry Pi. You may be surprised by its performance! If you’ve used a Pi to do something creative, please tell us about it in the comments!